Fracture Labs, a PC and video games startup, is now listing its token for the upcoming blockchain-based game Decimated on the cryptocurrency exchange ZBX. Decimated has seen its community grow from 10,000 to 33,000 in a matter of days in February this year. Samsung has confirmed rumours of a partnership with cryptocurrency wallet and gaming platform Enjin, which has joined forces for a blockchain initiative on Samsung’s flagship Galaxy S10. Enjin Coin is cooperating with Samsung for games and services, provided through the Samsung Galaxy Store. This follow rumours about the potential partnership that circled around the possibility of Enjin being used for sending and receiving of ERC-20 tokens and ERC-1155 crypto game assets. The cryptocurrency-based internet browser that pays users in digital assets has been downloaded over 20 million times in what seems to be steady growth in the budding sector. As crypto enthusiasts know, the Brave browser is the new kid on the block seeking to “fix the internet” by taking standard user experience to the next level. Blockchain AI platform SingularityNET has launched a beta version of its Ethereum-based decentralised marketplace. Following an ICO in 2017, the company raised $36 million and now has partnerships with more than 20 companies and institutions, including the government of Malta and UNESCO. Bitsane cryptocurrency exchange platform has launched a new option for withdrawal of Tether (USDT) to PayPal. It allows users to withdraw USDT from their Bitsane account and receive USD to PayPal account at 1 USDT: 1 USD exchange rate. Users can test the new feature by logging to their user account and click Balances - Wallets - Tether - Withdrawal. 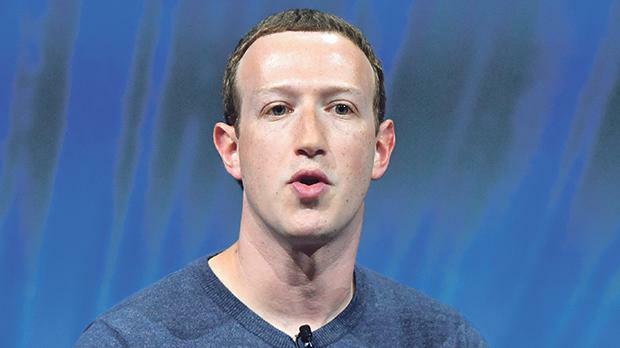 Mark Zuckerberg has shown interest in placing Facebook login details on blockchain technology, which could be used to enable users to control their data. The announcement was made during his interview with Harvard Law professor Jonathan Zittrain, where Zuckerberg said he is ‘potentially interested’ in putting the Facebook login on the blockchain. 888 Holdings has said it is delighted to have been awarded a new gambling licence in Malta which the company has stated will mitigate any detrimental effects on the group of the UK leaving the EU. NetEnt, through its subsidiary NetEnt Americas LLC, has been granted an Interactive Gaming Manufacturer Conditional License by the Pennsylvania Gaming Control Board (PGCB). In October 2017, the Pennsylvania state legislature approved a bill that allows online casino gambling. NetEnt today announces that it has obtained a conditional license to deliver its award-winning online games in the newly regulated market in Pennsylvania. ORYX Gaming has announced that it is expanding into the regulated Swedish iGaming market with the deployment of its game portfolio on the Mr Green Swedish website. ORYX also plans to roll out its content across other top international operators in the coming weeks. Relax Gaming, the new-breed content provider and distribution platform, has agreed a partnership with leading online casino brand, Videoslots. Relax Gaming’s range of games including Temple Tumble, The Great Pigsby, Zombie Circus, Epic Joker and Erik the Red are to be rolled out to Videoslots players under the terms of the deal.